“Kirsty Young is to take a number of months off Desert Island Discs because she has fibromyalgia, and Lauren Laverne is to fill in for her. Desert Island Discs returns to BBC Radio 4 on 16 September and Young will host the first two episodes with castaways opera singer Danielle de Niese and neurosurgeon Henry Marsh. Laverne will host the third episode onwards. Four presenters have hosted the show since it started in 1942. Fibromyalgia is a long-term condition that causes pain all over the body and can bring on severe fatigue. Lady Gaga also has the condition”. It is upsetting she is unwell - but it is good she has decided to take time away and rest. Laverne’s appointment is a great move. Desert Island Discs has an email/comment section where you can suggest a possible ‘castaway’ – the name given to a guess on the show – and I suggested her, once. It is a logical and obvious move: she has had a varied career; is a successful radio D.J. and a feminist (which has inspired how I write and argue for women's rights in music). Aged only forty (trying not to be too tabloid!) she has achieved more than most people twice her age! It has been a productive and happy last few weeks for Laverne. She has been hosting a morning show (10 A.M. to 1 P.M.) during the week for years now and is replacing Shaun Keaveny as the new breakfast host (taking care of the 7 A.M. to 10 A.M. slot). It is a good promotion and will be interesting to see what she bring to the show. I am gutted Kirsty Young is stepping aside – as I think she is the best presenter the show has ever seen – but I am glad Lauren Laverne is coming in. Her natural wit and warmth are very (Kirsty) Young-esque but that knowledge of new and older music, obligatory as a BBC Radio 6 Music D.J., is going to be a new angle. Laverne is pleased to get the gig and is honoured to step into such a converted role. We need not get into fibromyalgia and its severity – it is incurable but can be managed – but everyone wishes Kirsty Young a speedy recovery! Some of the finest editions of Desert Island Discs of previous years have seen her get the best from her guests. Whether it is the incredible and revealing chat with Bruce Springsteen; the natural chemistry with Caitlin Moran or the way she coaxed tears from Tom Hanks – the finest edition of the programme I have ever seen – it is masterful! (A brilliant interviewer whose vast intelligence and intuition gets a lot from the castaway but also lets them explore and wander). Young walks the line between a serious news inquisitor and a warm and sympathetic presence. It is a hard act to follow but I think Laverne is a great replacement. She has her BBC Radio 6 Music show but is already a stalwart and fixture on BBC Radio 4 - hosting a late night edition of Woman’s Hour. This article from The Economist made salient reports regarding the decades-lasting show. Its popularity comes in its simplicity and consistency. “FOR nearly eight decades the seagulls have cawed, the waves have lapped against the sand and Britons have settled down to “By The Sleepy Lagoon”. The format of “Desert Island Discs” has hardly changed since it was first broadcast in 1942 from the Blitz-scorched BBC studios in Maida Vale. Famous guests select eight records to keep them company on a hypothetical desert island, answering questions in the gaps between them about their lives and careers. The last big innovations came in 1951, when castaways began choosing a book and a luxury for the ordeal (Sally Ann Howes, an actress and the first guest to take advantage of the new rule, plumped for garlic)”. The presenters’ soothing and educated voices are the only unchanged part of Desert Island Discs. Aside from the rules of the game – choosing eight records, a luxury and a book; you can only save one record from the wave – the programme has diversified from the early days. Previously, guests were academics and figures of notes; samey and plummy voices that, by and large, picked Classical selections and it was all very nice. Now, we get guests from different races and nations; the music – whilst still too heavy for my liking on Classical – takes in everything from Hip-Hop and R&B (Jimmy Carr selecting Beyoncé and Jay-Z as a choice was a shock!) to Lonnie Donegan (the brilliant Sue Perkins chose one of his cuts when she was a guest last year). 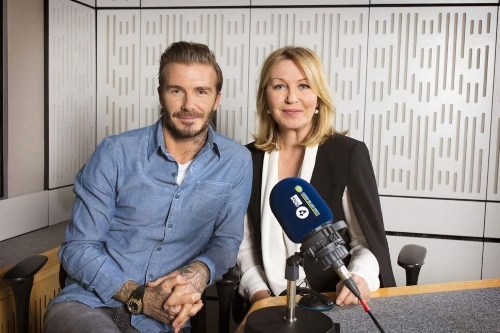 I love seeing how Kirsty Young reacts to some out-there music choices – the castaways, in turn, do take the piss out of her slightly posh reactions – and Lauren Laverne is the first host in the programme’s history that will take Desert Island Discs in a new direction. The Sunderland-born musician and journalist has a new bag of skills and an approach to interviewing that is brilliant – a different tact and style to Young that will bring fresh nuance to the series. I am excited to see who she features and the rapport she cements with the castaways. The Economist’s article charted the presenters’ different styles and how the music choices have altered through the decades. A reason why I think Laverne is a natural choice for host is because of her warmth and experience. Previous hosts like Sue Lawley and Roy Plomley were brilliant but were a bit more serious and stern: Young’s appointment in 2006 changed Desert Island Discs and granted greater revelation. Guests during her reign have discussed revealing their homosexuality and suicide attempts; the death of parents and being involved in carnage and bloodshed. The music, too, is a bit more youthful and there is greater room for those big guests to extend and chat freely – something new came in and made Desert Island Discs more accessible and appealing to a younger demographic. Laverne’s task is a big one but I feel she will easily retain the audience and bring in even younger listeners; a new demographic and some great reviews! SUCH a legendary and beloved programme.